Lighter and more quirky than Mozart’s masterpiece, The Barber of Seville—Rossini’s classic opera buffa—revolves around stock characters taken from commedia dell’arte, which developed from comic entertainments by medieval musicians (minstrels, troubadours, trouvères, and minnesingers). In 16th-century Italy, these groups evolved into more elaborate traveling companies, presenting commedia dell’arte plays with distinctive masks or hats and stock characters such as wily servants (Arlecchino/Harlequin), old men (Il Dottore and Pantalone), and young lovers (Lindoro and Rosina). Pierre-Augustin Caron de Beaumarchais (1732-1799) made his name as a playwright with three semi-autobiographical plays revolving around Figaro, the clever servant of an aristocratic Spanish household. Seville was a favorite “exotic” locale for opera of the time (think of Don Giovanni, Fidelio, and even the later Carmen), and Beaumarchais had spent more than a year in Madrid looking for business opportunities with the new Spanish colony of Louisiana, from 1764-65, so he was at least familiar with Spanish music, language, and culture. In the story, both Beaumarchais and Rossini’s librettist Cesare Sterbini introduce us to Figaro, a barber (baritone), Bartolo, a doctor (bass), his beautiful ward Rosina (mezzo-soprano), Basilio, a music teacher (bass), and Almaviva (tenor), a nobleman attracted to Rosina. The character of Figaro was inspired by the commedia dell’arte figure of Brighella, a zanni/servant and the smarter older brother of Arlecchino; his name may have been an Italianization of “fils Caron” (Caron being the given surname of the playwright). Combining stock comedy characters, farce, and romantic comedy, the story of The Barber of Seville is a whirlwind of secret letters, false identities, quick costume changes, and last-minute escapes from tricky situations. Le Barbier de Séville (1772) was originally designed as a French opera libretto, but upon being rejected by the Comédie-Italienne, Beaumarchais rewrote it as a comic play (1773). It premiered with the Comédie-Française in the 400-seat theater of the Tuileries Palace in early 1775, with songs and incidental music provided by the leading violinist of the Tuileries Theater, Antoine-Laurent Baudron. Mozart, who attended the play in 1778, wrote an extended piano treatment of one of Baudron’s songs entitled 12 Variations on the Romance “Je suis Lindor,” K. 354/299a. Barber’s sequel, The Marriage of Figaro (1784), was Beaumarchais’ second Figaro play; Mozart’s famous version premiered less than two years later in Vienna. Many French writers stepped up provide more sequels, but Beaumarchais himself returned to his Figaro after several tumultuous years as a watchmaker, a royal music teacher, a spy, a horticulturist, and a series of tragedies that left him a childless widower. In his final Figaro play, La Mère Coupable (The Guilty Mother, 1797), we find the Almaviva family in turmoil once again: Countess Rosina has concealed her son’s true father (Cherubino!) from Almaviva, and is blackmailed by a Tartuffe-like figure. Figaro and his wife Suzanne come to the rescue, but Beaumarchais’ final play became his most serious, sentimental, and dramatic. were widely known through translations and adaptions. Giovanni Paisiello’s 1782 version of The Barber of Seville was the most successful, and Rossini was careful to publish several disclaimers establishing his respect for the older master and his intent to take the story in a new direction. He signed the commissioning contract on December 15, 1815, and agreed to title his project “Almaviva,” after Figaro’s employer. Some sources support the theory that he wrote the whole opera in two weeks, and it opened two months later at the Teatro Argentina in Rome. The February 20, 1816 premiere was plagued with legendary snafus: a cat onstage, no producer (he had died suddenly two weeks before), aggressive Paisiello supporters heckling throughout, and Don Basilio attempting to sing with a handkerchief over his bleeding nose after falling onstage. But from the second performance on, it was a complete success. By that summer, Paisiello had passed away, and Rossini dared to rename the work The Barber of Seville. deceptive suitors. Composers, librettists, actors, and singers could vent their frustrations by mocking the complex love intrigues of the upper class and laying bare the social injustices of their time. 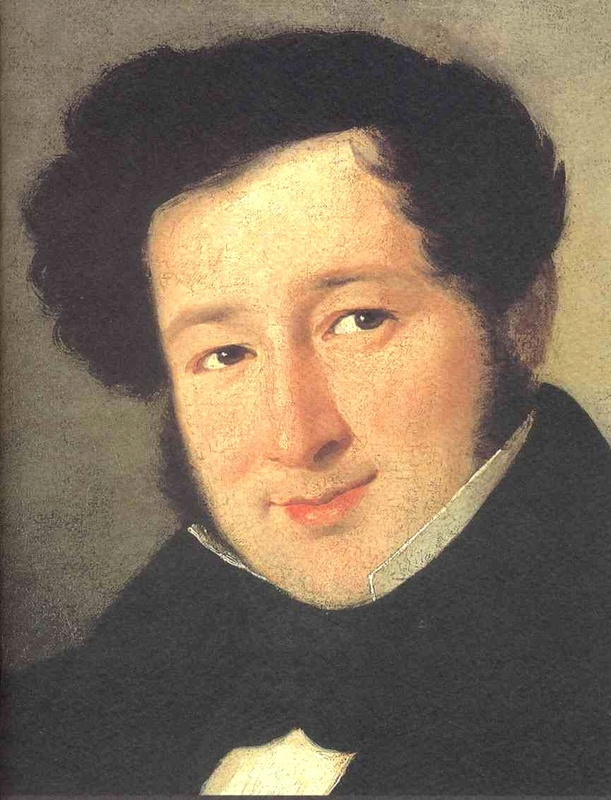 Rossini’s first years were spent traveling from one small Italian opera house to another. His mother was a singer, his father played orchestral horn, and he was apprenticed to players of violin, viola, horn, and harpsichord. Eventually, the family settled in Bologna, where the 12-year-old budding composer earned pocket money singing in churches and accompanying opera companies. He studied cello and composition at the Bologna Conservatory during his teens, winning a gold medal and completing a commissioned cantata. At this age, he was utterly devoted to Mozart, earning the nickname “Il Tedeschino” (The Little German): he always regretted not being able to continue past four years of formal study due to financial problems. At the age of 19, his one-act comedy The Marriage Contract (1810) was a success in Venice, and parts of the score reappeared in his full-length La Pietra del Paragone (1812), performed over 50 times during its first season. He became an established, sought-after composer during this decade, sometimes completing four to five operas per season; big hits from these early years include Tancredi (La Fenice, 1813, with its overture from Le Pietra), The Italian Girl in Algiers (Teatro San Benedetto, Venice, 1813), and The Turk in Italy (La Scala, 1814). Following typical practice of the time, Rossini borrowed liberally from his own compositions. The Barber of Seville (Rome, 1816) displays three examples of the young composer repurposing his earlier ideas: its Overture was first composed for Aureliano in Palmira (1813), then modified for Elisabetta, Regina d’Inghilterra (1815); the opening chorus comes from Act II of his Sigismondo (1814); and the second half of Rosina’s “Una voce poco fa” had appeared in both Aureliano and Elisabetta. in Rossini’s very first public success, The Marriage Contract, 1810). After Barber, Rossini dominated Italian and French operatic stages, completing two dozen more operas including the farcical La Cenerentola and his epic Guillaume Tell (whose music inspired parts of Richard Wagner’s Ring of the Nibelungen). He retired before the age of forty to Paris and Passy, France in order to concentrate on cooking, entertaining, and philanthropy, but continued to be involved with music education (in Bologna) and occasional compositions intended for sacred or private performance. A Viennese newspaper described him at the age of 50, “of agreeable manner and pleasant appearance, full of wit and fun, cheerful, obliging, courteous, and most accessible. He is much in society, and charms everyone by his simple unassuming style.” He claimed to have cried only three times in his life: over the opening night fiasco of Barber, after hearing violinist Niccolò Paganini for the first time, and when his favorite lunch (turkey with truffles) fell overboard during a Parisian boating party. Upon his death in 1868, his estate passed to his wife, who donated most of it to found a conservatory of music in Pesaro, his birthplace; they hold an annual festival dedicated to his operas. 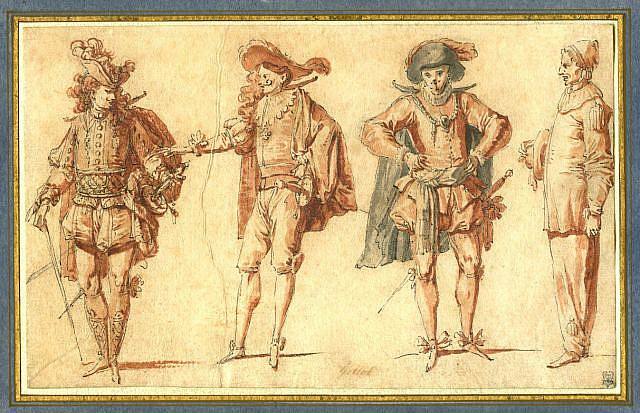 Images (top to bottom): Four Commedia dell’Arte Figures by Claude Gillot, pen and black ink, grey and red wash, early 18th century. Monument to Pierre-Augustin Caron de Beaumarchais by Louis Clausade. Bronze, 1895, in the 4th arrondissement of Paris. Portrait of Rossini as a young man, unknown painter. 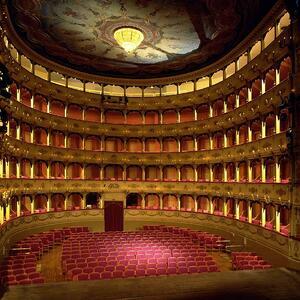 The Teatro Rossini in Pesaro, home to the Rossini Festival. Photo from Teatro Rossini on Facebook. This article was published as part of the fall 2018 issue of BLO's CODA magazine Fall 2018 issue.